Warren "Chuck" Enos, 62, of Schenectady, passed away on Sunday, September 9, 2018 at his home with his loving family by his side. Born in Schenectady on April 20, 1956, Warren was the son of Warren H. Enos and the late Elizabeth June (Chambers) Enos. Chuck was the devoted husband of Donna M. Enos, together they were married 34 years. He was the loving father of Amy, Nicole, Jamie and Joseph (Amanda) Enos. The dearest brother of Greg (Robin) Enos, Jo-An (Jeff) Nagell, Susie Enos, Nancy (Richard) Wheeler, Lynn (Matt) Wertman, Billy (Molly) Enos and Beth (Bob) Overbaugh, and the cherished grandfather of Robert John, Shylia, Joey Jr., Alex Enos. Chuck was employed with the South Colonie Central School District for 39 years, where he retired from. He also worked 20-plus years building pool tables with Ted Klonowski Billiards. 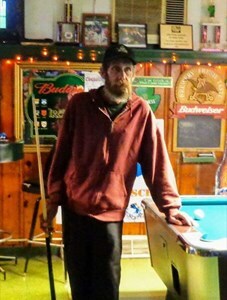 Chuck's passion was Billiards and he was a member of A.P.A. (American Pool Players Association) He was an avid pool player and knew everything about billiards. Chuck also enjoyed spending time with his friends at Maloney's Tavern and also spending time with his family. Add your memories to the guest book of Warren Enos. Saturday is your birthday. Thinking about you. Sunday is Easter. Remember when Sam ate all the jelly beans? My dad was my best friend and was the greatest man I ever knew. Thank you all for the wonderful things y'all had to say. I was saddened to hear of the loss of Chuck. Such a diificult time for family & friends. Bob & I are praying for you all. May Jesus comfort you as only He can. Jesus is the only reason we can have hope. I knew Chuck for many years, we shared a lot of good memories some of them with others who have passed. I will always have good memories of you and miss seeing you on the street, even if just for a hi. My heart goes out to your family and hope for peace in their life at this time. Chuck was a loyal family man and is sadly missed. Fly high Chuck. Sad to hear the news about Chuck. I worked with him at Lisha Kill Middle School. He was a good man! To my Enos family, my heart is broken to of the passing of Chuck. My prayers are with you all during this difficult time.